One great thing about running our own business is that we’ve dispensed with the need for a “boss button” during the NCAA tournament. We’ll admit it, we’ve had one eye on the games since they started, including while writing this edition of the Weekly Gist. We’re suckers for the Big Dance, with its Cinderella stories and bracketology strategies. And given what happened last year, at least one of us has been particularly distracted during this year’s first round. New data presented at the American College of Cardiology (ACC) annual meeting this week on the efficacy of transcatheter aortic valve replacement, or TAVR, supports the broad adoption of minimally-invasive valve replacement for most patients. TAVR delivers the replacement artificial valve through a catheter inserted via a small incision in a patient’s groin under mild anesthesia, in contrast to standard open surgery, which requires a large incision and use of a heart-lung bypass machine. To date, TAVR has only been approved for high-risk patients who might not tolerate the open procedure. Data from two large clinical trials show that lower-risk patients undergoing TAVR also have a reduced risk of mortality, stroke and other complications compared to open surgery, paving the way for approval to be extended to cover nearly all patients needing aortic valve replacement. Recovery time is also much shorter, with many patients returning to regular activity a few days after TAVR. Should the Food and Drug Administration (FDA) approve the procedure for lower-risk patients as expected, 20,000 additional patients per year would be eligible for TAVR, in addition to the nearly 60,000 higher-risk patients who qualify now—and yet another large-volume category of cardiac surgery would move out of the operating room and into the cath lab. The economics of TAVR are surely less favorable for hospitals. Costs of TAVR are higher, largely due to the price of the newer valve technology, but payers often reimburse the procedure similar to an open surgery. Cardiac programs would be wise to centralize the cases at high-volume regional centers, as previous research has shown that TAVR outcomes are improved in experienced programs. Some experts predict that over time lower-risk TAVR cases could even move outpatient; pioneers of the technology in Europe are already performing the procedure without an overnight hospital stay. TAVR is emblematic of the ongoing shift of surgeries away from the hospital to lower-acuity settings. 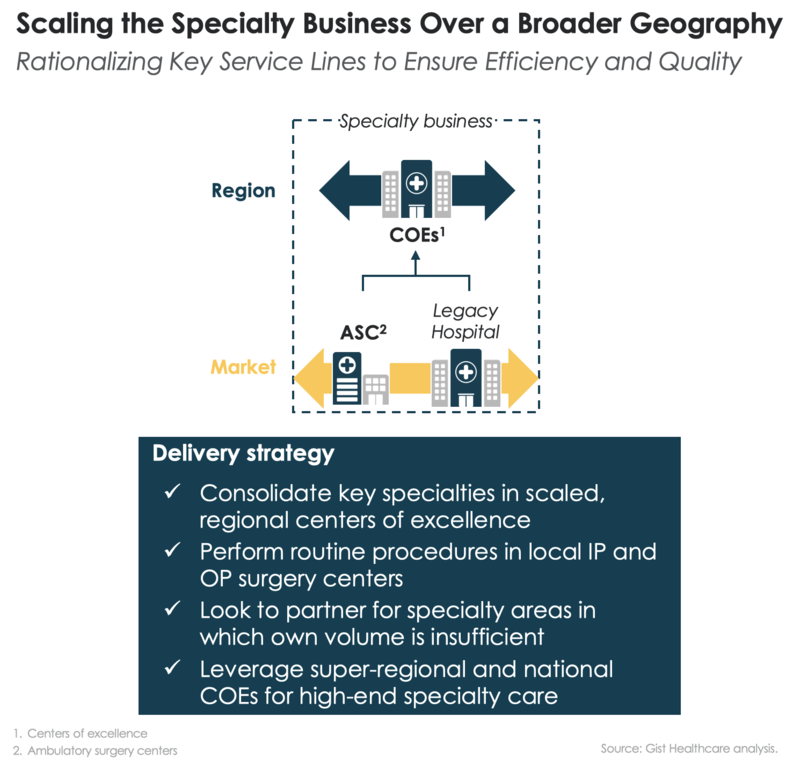 Surgeons we’ve worked with predict that as much as 80 percent of today’s inpatient procedural cases could be performed outpatient—a shift that would reduce the cost of care but require a complete rethinking of the hospital footprint and the infrastructure required to support a more intensive outpatient surgical enterprise. The study is novel in that it allows patients to enroll without having seen or been approved by a doctor, and has been lauded for its rigorous methodology. Although the study is funded by Apple, design and analysis is solely managed by Stanford—a model that sets the standard for other Silicon Valley tech companies who want to evaluate the use of their consumer devices for real clinical applications. Even if the Apple Watch continues to prove effective in detecting a-fib, it’s unlikely that these findings will change clinical practice, and it will be a long time before we know how the device can actually contribute to the health and wellness of patients. Regardless, the positive results will surely spark a race to find more clinical applications for the Apple Watch and other wearables. Let’s hope that those follow the same path as Apple and Stanford have, demonstrating the promise of disruptive technology with hard evidence. The next time the UPS truck brings you a delivery from Amazon, there may be someone else along for the ride—a nurse to give you a vaccination. As reported by Reuters this week, the world’s biggest package delivery company is piloting a program within its clinical supply delivery subsidiary Marken, in partnership with its pharmaceutical company clients, to administer vaccines in consumers’ homes. 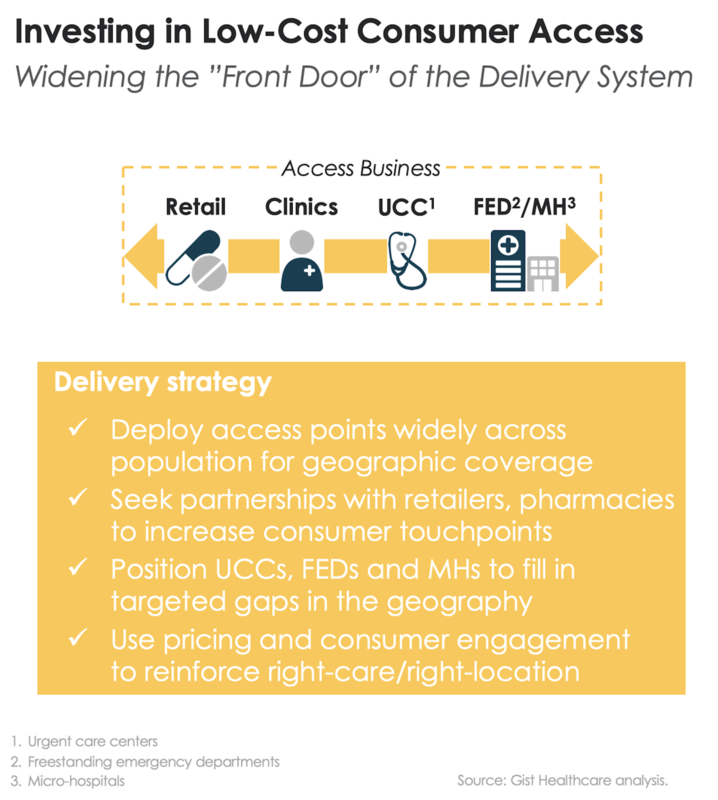 UPS acquired Marken in 2016, and as part of its effort to expand its footprint in healthcare services, plans to deploy Marken’s contracted home health nurses to pick up packages of vaccines from UPS distribution points and take them to patients’ homes, where they will give the shots. According to Marken’s CEO Wes Wheeler, quoted by Reuters, the goal of the pilot project is to test UPS’s entire logistics chain to see if home-based care delivery is feasible. In other countries, UPS and other package delivery firms have become heavily involved in clinical support services; for example, DHL, which has the biggest healthcare logistics business among major shippers, transports patients in the United Kingdom to and from non-emergency medical appointments. In the US, Marken already works with drug companies to perform home-based delivery of injections to patients involved in experimental trials. Pharma giant Merck & Co. is particularly interested in the UPS pilot, as it looks to expand the market for its arsenal of immunizations. The move by UPS comes as its largest customer, Amazon, is gearing up to become its largest competitor as well by building its own network of delivery services, and is also moving into the mail-order pharmacy business with its 2018 acquisition of PillPack. According to a UPS executive cited by Reuters, the next competitive frontier of shipping will be “over-the-threshold” services—including healthcare delivery inside consumers’ homes. A key test for the UPS strategy will be convincing insurers to pay for its home-based services, as well as reassuring traditional healthcare providers and their patients that UPS services are safe and reliable. One advantage the shipper currently has over Amazon is its extensive network of specialized, climate-controlled distribution centers that can be used for sensitive biomedical materials, as well as its experience in navigating the regulatory challenges of healthcare logistics. As the battle for consumers heats up in healthcare, and non-traditional players jockey for position, it’s worth keeping an eye on companies like UPS, which can leverage their existing relationships and platforms to get a foot in the door—perhaps literally—with consumers. It’s March Madness—for healthcare nerds! Unfortunately, our Health Value bracket was immediately busted when the real games kicked off on Thursday—sadly for the Catamounts, Vermont will not be going to the Championship Game on April 8th. But our bracket winner stands a reasonable chance of winning the whole thing, given that Orange County, NC, home to the North Carolina Tar Heels, is the highest-ranked county in our competition. As the tournament progresses, we’ll be doing a deeper dive on some of the findings from this admittedly oddball exercise—providing a closer look at the components of HVI for each of the (real) Sweet Sixteen counties and profiling the healthcare landscape of each of the Final Four counties after they’re determined. For now, you can find more details on how we came up with this bracket on our blog. And if you’d like to keep tabs on how our Health Value bracket is performing, you can click on the graphic below to see a zoomed-in version. Enjoy the tourney! 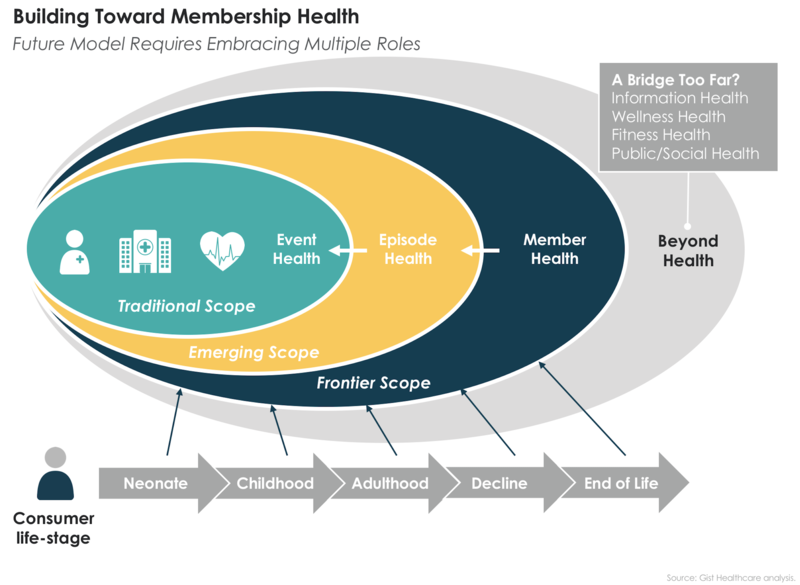 Can a health plan become “Member Health”? While I will concede that health plan beneficiaries might use the word “member” to characterize their relationship with an insurer, most health plans are far from delivering the accessible, affordable, reliable and personal experience we envision for Member Health. But while we’re predisposed toward a Member Health platform sponsored by providers, many health plans are adopting elements of this strategy. 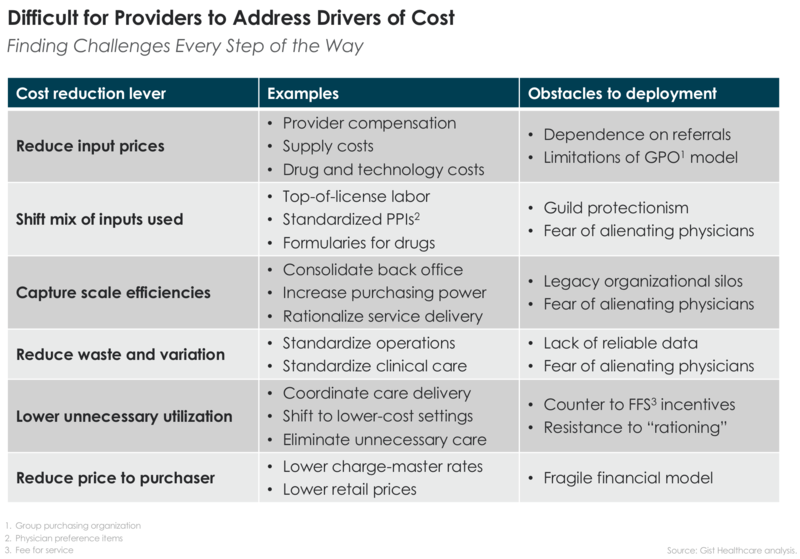 They own the risk for the cost of care, so have the right financial incentives, and their business models are centered around creating preferred provider networks (although for most, that’s fallen short of true curation around quality, cost and experience). Many are investing in the consumer technology, telemedicine, and primary care that are foundational for ongoing access and loyalty; CVS-Aetna and UnitedHealth Group are clearly moving toward platform-based solutions for consumers that unite coverage and care delivery. And it’s easy to imagine that Amazon or Walmart could develop a very attractive healthcare membership platform that sells insurance, offers digital or in-person access to basic care, curates a provider network, and manages interactions over time—along with providing free one-hour delivery of low-cost prescription drugs. The health plan in question, however, falls short of the scale or resources of the national players; for them, “owning” primary care is not an option. 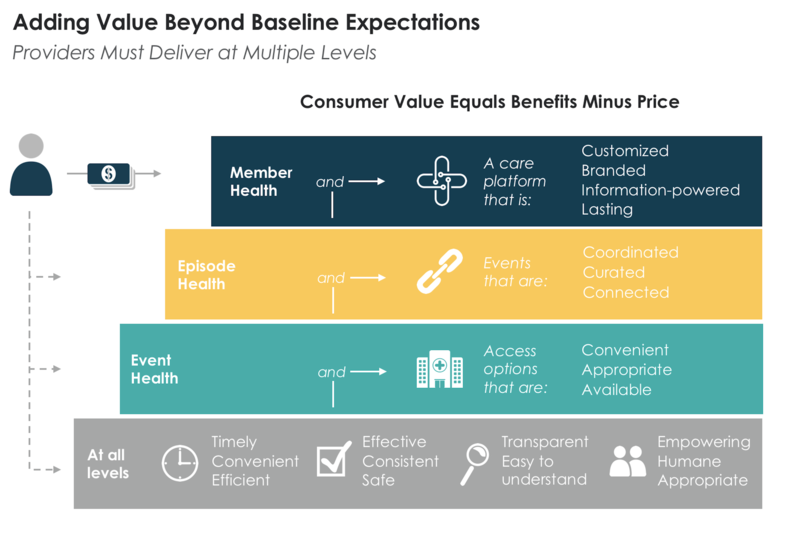 Their best shot at delivering Member Health to their customers might instead be via a deep partnership with providers (given their market dynamics, probably with a regional health system). Health plans and providers have “partnered” over the years, but most of these relationships are far from a true partnership. 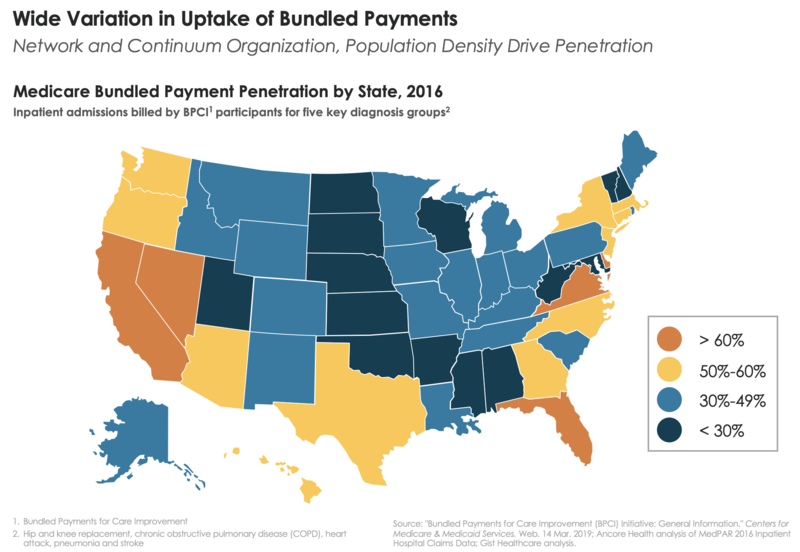 Even arrangements oriented around value-based payment provide mostly shallow incentives, encouraging little collaboration around care and experience and maintaining an “us-versus-them” posture on both sides. 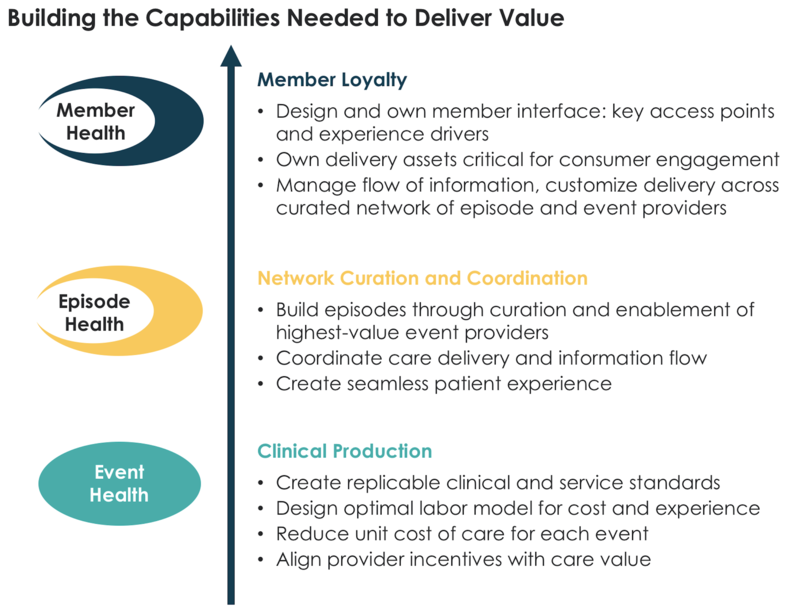 Payer-provider collaboration to deliver Member Health would require a depth of integration and trust that rarely exists, and a shift from a “negotiating posture” to a “collaboration posture” between participants, to truly move forward on a platform that creates consumer value. I usually try to stay away from protracted exchanges on Twitter, because there’s rarely a satisfying conclusion. But a couple of recent tweets from thinkers I respect drew me into a discussion this week, because they touched on a topic I’ve been thinking about lately. It started with a comment made by American Hospital Association (AHA) President Rick Pollack at a recent conference hosted by the trade journal Modern Healthcare, who asserted that expanding Medicare coverage would be disastrous for hospitals because Medicare reimbursement doesn’t cover the cost of care. That’s a standard talking point for the hospital industry lobby. In response, Larry Levitt from the Kaiser Family Foundation made this trenchant observation: “It’s absolutely true that paying hospitals Medicare rates for all patients would be quite disruptive. It’s also true that the cost of hospital care is not some law of nature, but something that could change if hospital revenues were squeezed [emphasis added].” That strikes me as exactly right, and it prompted me to weigh in with a few thoughts that I’d like to summarize here as well. While it’s true that hospitals typically have low operating margins, and that the shift in payer mix toward Medicare and Medicaid and away from commercial payment (thanks largely to aging and the Affordable Care Act, respectively) has put profitability under pressure, it’s also true that most hospitals make a positive contribution margin on most Medicare admissions. When you hear hospitals complain that Medicare doesn’t cover the cost of care, they’re talking about the fully-allocated cost of care, which includes all of the bricks-and-mortar fixed costs plus all the overhead of running a hospital or health system. But those costs are not immutable, at least in the medium- to long-term. 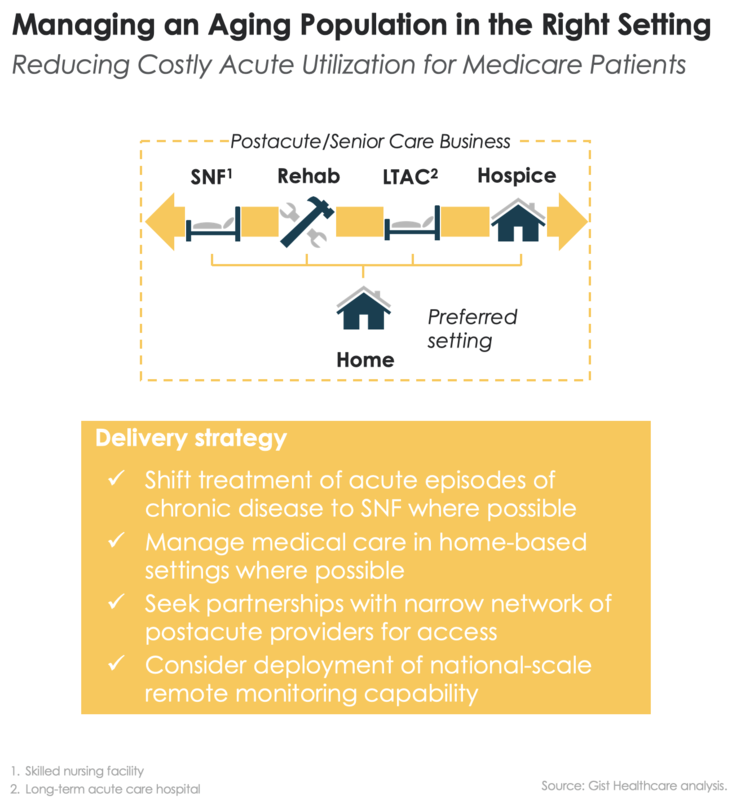 They can be reduced by shifting care into lower-cost, lighter-asset settings of care. 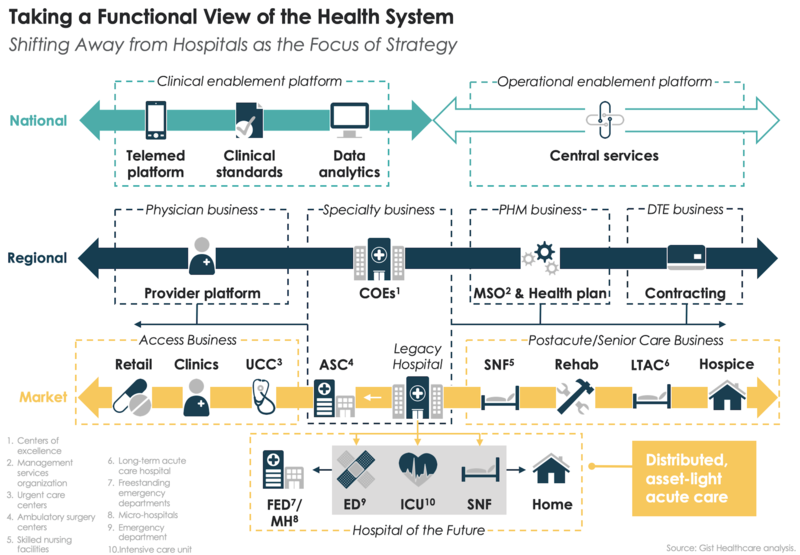 As our “functional map” of the health system suggests, much of what is done in an inpatient hospital can be moved “up” and “out”: “up” into scaled, more-efficient, lower-unit cost regional settings (“centers of excellence”); and “out” into community-based settings that provide better access and more appropriate, subacute care (ambulatory surgery centers, community clinics, patient homes). 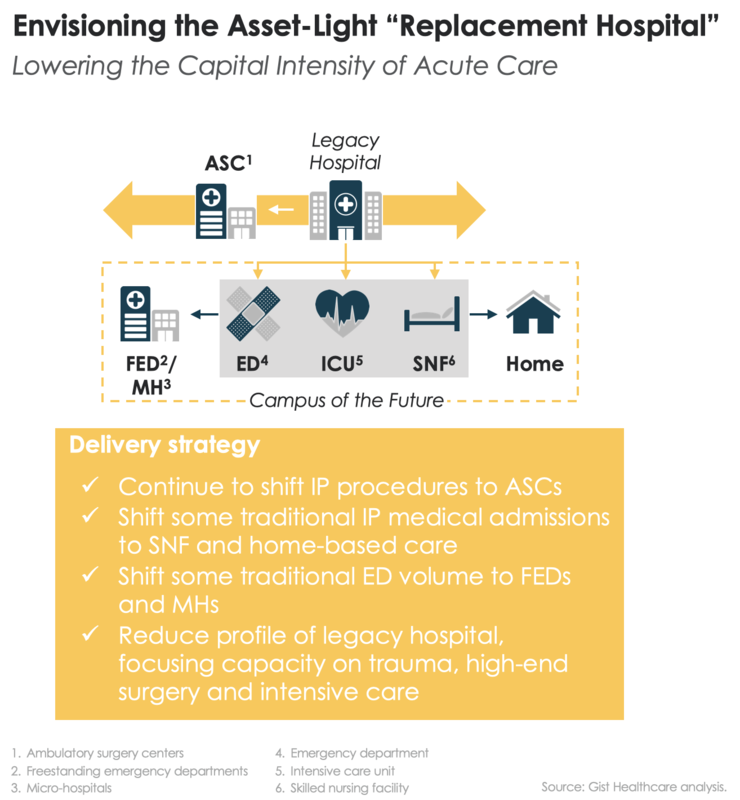 If hospitals could make those changes to the delivery model, they’d be in a position to retool the acute care hospital for what remains—high-risk surgery that needs to be performed locally, intensive care, and emergent cases. The result would likely be a slimmed-down, lower cost version of today’s hospital. But that would require changes to how hospitals are paid. The truth is, the modern American hospital is built around the economics of profitable, inpatient, commercially-reimbursed surgery, paid for on a fee-for-service basis. 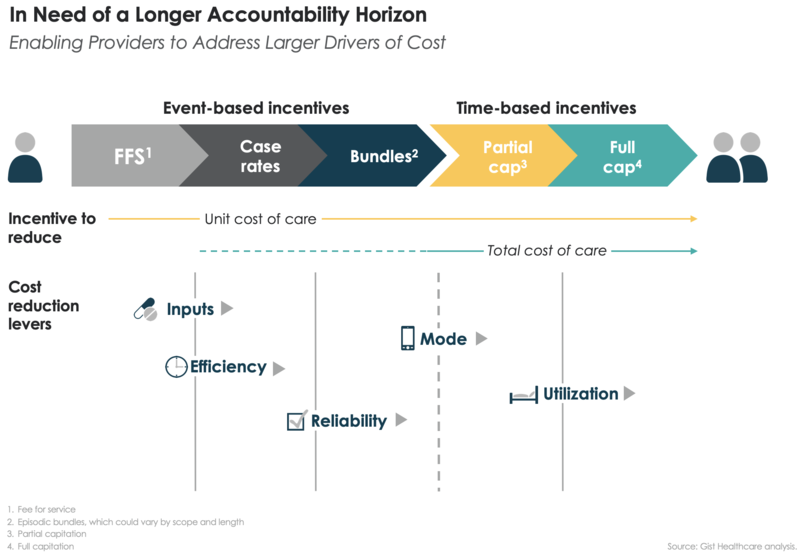 Making progress on the hard work of reducing costs will require shifting away from fee-for-service toward incentives that span across broader episodes, and eventually, over whole periods of a consumer’s life. In short: getting into the “lives” business, enabling clinical transformation by embracing payment transformation. Rick Pollack is right, in that sense; expecting hospitals to make dramatic progress on cost reduction without changing how we pay them, not just how much we pay them, is a recipe for disaster. That’s why we believe that the right posture for providers is to change the business model to behave as if every consumer were a member of the health system, and to compete on the basis of providing value to consumers over time. That’s a discussion for another Twitter diatribe. That blazing, thrumming ball of light and sound hurtling toward us from across the ocean can mean only one thing: The Comet is Coming! The UK-based cosmic jazz outfit of that name, one of three path-breaking groups currently fronted by sax-and-clarinet man Shabaka Hutchings (aka King Shabaka), has just launched its much-anticipated second album, Trust in the Life Force of the Deep Mystery. And it’s everything fans of the trio have been hoping for, ever since they blazed onto the scene in 2016 with their Mercury Prize-shortlisted Channel the Spirits. Alongside keyboardist Dan Leavers (Danalogue) and drummer Maxwell Hallett (Betamax), Hutchings fuses the sensibility of Sun Ra and the heritage of the Coltranes with a futuristic sound and apocalyptic danceability that’s like nothing else on the musical landscape today. The album tells a song-cycle story of planetary genesis, from the slow-building “Birth of Creation” to the frenetic “Timewave Zero”. Particularly strong here are two tracks that showcase Hutchings’s ability to turn his horn into a talking (almost rapping) fourth band member: “Summon the Fire”, which does exactly what it says on the box; and “Blood of the Past”, with a spoken-word contribution from guest artist and acclaimed poet Kate Tempest (check out a live, instrumental-only version from BBC6 here). Between his work here and last year’s landmark release Your Queen is a Reptile from one of his other projects, Sons of Kemet, Hutchings now stands shoulder-to-shoulder with Kamasi Washington as the one of the most important jazz visionaries of his generation. Eyes on the skies—incoming! EHRs are deeply flawed—but what do we do about it? Stories about electronic health records (EHRs) not living up to their promise are a dime a dozen, but we were intrigued by a well-researched piece from Fortune and Kaiser Health News which raises grave concerns about EHRs and the companies that make them, digging inside a “digital revolution” that has cost $36B and created a system that is an “unholy mess”. The article describes a new class of medical errors and patient safety risks that have been brought on by record-keeping software. Some relate to human mistakes that increase with EHR workflow: a doctor is more likely to place an order for the wrong patient in an EHR with multiple windows open on the screen than when writing on paper charts; hundreds of low-value alerts lead a provider to click past one critical flag. But more concerning are the defects in the systems themselves that have caused life-threatening errors, including generation of inaccurate medication lists or failure to deliver orders to labs, or record results of tests. While the stories of patients harmed are heartbreaking, the larger issue raised by the article is the government subsidizing the rapid adoption of a flawed and underperforming technology. Large incentives were made available through the HITECH Act, passed in 2009, to encourage hospitals and doctors to adopt EHRs. That worked: 96 percent of hospitals have EHRs today, compared to just six percent in 2008, and over 86 percent of doctors’ offices have a digital records system. But the incentives have been less effective in creating a digital ecosystem in which patients can easily access and share their data, and doctor and nurse productivity can be increased. Some experts, including well-respected Chief Information Officer and Obama Administration advisor Dr. John Halamka, say the “meaningful use” incentives created pressure that was too intense for thoughtful technology development and adoption: “To go from a regulation to a highly-usable product that is in the hands of doctors in 18 months, that’s too fast,” Halamka said. “It’s like asking nine women to have a baby in a month.” Others felt the program enabled the “perverse business dynamics” of large EHR vendors, who developed closed systems that prioritized proprietary ownership of data over communication, provider workflow and patient access. While the article doesn’t really suggest a way forward, it’s important to recognize that progress is messy. Our nation deserves credit for wiring its entire healthcare system in less than a decade, no matter how imperfectly, and there’s no going back to paper records. EHRs have enabled a number of large-scale data-gathering and quality initiatives, and played a pivotal role in rapidly changing prescribing practices to stem the opioid epidemic. And we should give EHRs full credit for killing an even more despised technology: the fax machine. Common industry wisdom predicts we’ll see a sharp rise in the need for low-skilled healthcare workers over the coming years, forecasting that we’ll need thousands of new caregivers, nursing assistants, and the like to manage the hands-on care needs of a growing population of elderly citizens, who often live hundreds of miles away from family support. An analysis out this week by economists at search firm Indeed.com shows that the industry may find itself more challenged than previously thought to fill higher-skilled healthcare roles. The authors evaluated the resumes of healthcare job seekers and compared them to employer job postings on Indeed between 2014 and 2018. They identified a healthcare skill gap between job seekers and the roles employers were looking to fill. The top ten categories of job seekers were largely low-wage, lower-skilled workers, including medical and nursing assistants, caregivers and home health aides. The top ten jobs in demand, however, included registered nurses (RNs), physical therapists, speech language pathologists, and occupational therapists, all requiring years of formal training and credentialing. In contrast to other industries with labor force skill gaps, like the technology sector, it’s harder for healthcare to adjust. A tech company can hire from a more diverse pool, and train workers on the job. Healthcare providers are hampered by licensure requirements, and the years of formal training needed for most in-demand positions. Any efforts to “prime the pump” and increase supply have a long lag time and are limited by regulation of the number of training slots for doctors, nurses and other advanced professionals. Solving the skill gap problem is two-fold. Re-evaluating training requirements, expanding scope of practice, and creating more training slots for in-demand positions is critical, but won’t have an immediate effect. In addition to these structural changes, providers must actively “upskill” their lower-skilled workforces. Progress has been made toward “top-of-license” practice in which, for example, a medical assistant (MA) can perform some of the tasks delivered by a nurse today. Combining on-the-job training and technological assistance, like automation and artificial intelligence, could allow healthcare employers to more quickly build the workforce they need out of the one they have today. A Kaiser Health News article that ran in this week’s New York Times caught our eye, concerning the use of noncompete agreements (NCAs) by health systems and physician groups to prevent their doctors from “stealing” patients when they leave employment and go to work somewhere else. The piece shares the stories of patients in the midst of ongoing treatment for urological disorders in Iowa whose doctors suddenly “ghosted” from their care—that is, disappeared without a trace. It turns out that the multispecialty group where the urologists worked had a covenant as part of their employment agreements restricting the doctors from taking patients with them if they left the group. Such agreements are common, according to the article: around 45 percent of doctors are bound by NCAs with their employers. As independent doctors are employed in greater numbers by large groups and health systems, that number is likely to increase. As highlighted by the article, however, prohibiting a doctor from continuing to care for a patient because of a change in employment can be very disruptive to care, leaving the patient struggling to find other sources of care. In some cases, the doctor’s previous employer may not be willing (or allowed) to provide information to patients on the doctor’s new whereabouts. Particularly in an environment in which growing importance is placed on delivering integrated, coordinated care, NCAs can jeopardize the continuity of care critical to good outcomes. Noncompete agreements are a long-standing phenomenon not just in medicine but across industries in which skilled workers are employed. There’s a robust body of academic research on the topic, outlining the economic justification for such restrictive covenants, particularly where a firm feels the need to protect its investment in “human capital” and client relationships that could otherwise be stolen by competitors. But some states have built safeguards to protect continuity of care, requiring employers to notify patients when doctors switch jobs, and facilitating the transfer of their clinical information. And courts have grown reticent to enforce NCAs for doctors, especially when patient care might otherwise be jeopardized or a patient wishes to stay with their doctor. We’re not fans of NCAs in general—our view is that if you want to keep your employees, you should make employment attractive, not handcuff the people that work for you. And we’re particularly opposed to restricting patient choice as a result of enforcing NCAs. Rather than gatekeeping the doctor-patient relationship, groups and systems should build care offerings so compelling that patients want to stay regardless of the employment choice of any one doctor. If that’s not possible, then patients should be free to follow their physicians to a better solution. Thanks for joining us again this week. We’d love to hear your thoughts, feedback, and suggestions for future writing—please drop us a line. And if you’re ever in the DC area, look us up! We’re so grateful for your readership, and for your generosity in sharing our work with friends and colleagues. Don’t forget to encourage them to subscribe, too! And most importantly, if there’s anything we can do to be of assistance in your work, please let us know. You’re making healthcare better—we want to help!